Several recent observations by readers and folks in audiences have prompted the need to debunk many widely held misconceptions about Hawaii’s tax system. 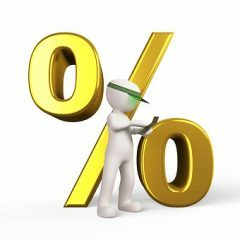 At a recent meeting of real property boards of review, one participant argued that the higher rates businesses pay on their real property can be passed along to their customers. This participant missed the point that those customers are us. This argument was prompted by the observation that all of the counties have managed to shift the tax burden away from their voting constituents who are homeowners and landlords to non-residential properties such as commercial, industrial and agricultural but most of all to hotel and resort properties where some counties impose the highest rates. More than likely this choice by elected officials is predicated on the belief that businesses can pass the cost of the real property tax on to their customers. And, no doubt, elected officials would like to believe that those customers are largely tourists. But you and I are also customers of these businesses be it grocery stores, auto shops, the friendly coffee shop or your doctor or dentist. And while this one person in the audience argued that the real property tax is such a small part of the cost of doing business in Hawaii, it is, nonetheless, misleading to the general public that homeowners can enjoy lower property tax bills but really end up paying for the cost of county government in the price of that bag of rice or in the carton of milk. 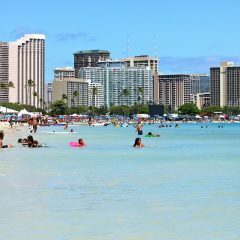 This hiding of the cost of government is set in stone – well almost – for those living in the City & County of Honolulu where the City Council adopted a resolution that residential properties shall contribute no more than 54% of the real property tax collections even though residential properties account for more than 80% of the taxable value of real property in Honolulu. Hiding the true cost of running government by shifting the burden from residential to nonresidential properties breaks the accountability relationship that should exist between those who must pay and those who benefit from the services those real property tax dollars provide. So instead of blaming elected officials for the higher cost of goods and services, consumers end up blaming businesses. On the other end, with an artificially reduced property tax on homeowners, those very residents believe that they can demand more from county government. And while the cost of the property tax may not be a large portion of a business’ overhead like the cost of energy, it is, nonetheless, a factor in setting the price of the goods and services we purchase. The other disturbing comment was in reaction to criticism levied by this column at the plethora of tax credits adopted in recent years. The response to this criticism was that the comment was made without “taking into account the dynamic effect” of those credits. The reader believes the credits stimulate new activity that then creates new jobs and miscalculated the beneficial impact that the tax credits have. While some may believe that the stimulus helped to create more jobs, those jobs were – as we learned recently – not permanent jobs. Once the activity took place, be it high technology research and development or the creation of a film or digital production, many of those jobs moved away from the “hostile” work environment that has been mocked by many. Since those credits did not correct or ameliorate the harsh business environment, once the subsidies disappeared, so did many of the jobs that had been created. And while the economic recession exacerbated the state’s budget situation, one only wonders what could have been had lawmakers not flushed those tax resources down the drain with much lauded tax credit schemes. Would Hawaii not have had to resort to Furlough Fridays, would social service and health care providers not have had to endure contract reductions or closures? Thus, besides the impact of the dynamic effect of those credits, one also has to consider the opportunities lost as the need for public services continues. The result is that the legislature had to “rob Peter to pay Paul” by having to adopt tax increases at the worst time possible as families struggled to make ends meet, while doling those valuable tax dollars out to subsidize questionable economic development efforts. The long and short of it is that instead of both shifting the real property tax burden and creating artificial stimuli for economic activity, government needs to stick to the business it is asked to do, that is to provide for the health and safety of our community and take their noses out of trying to steer the state’s economic destiny. Whither The General Income Tax Credit? 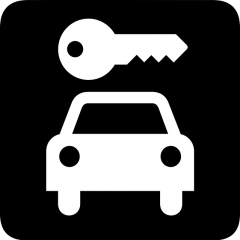 Are Car Rentals “Tourism Related Services”?